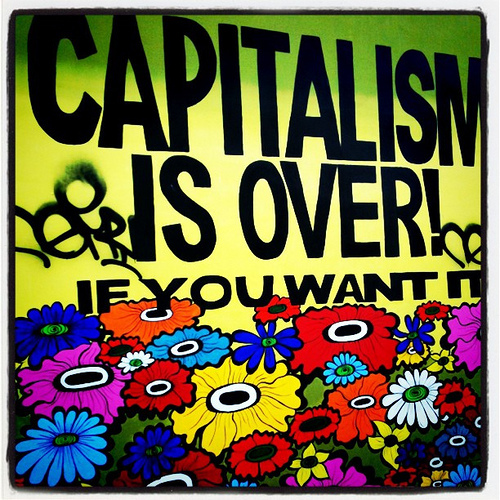 As part of CAPITALISM IS OVER! 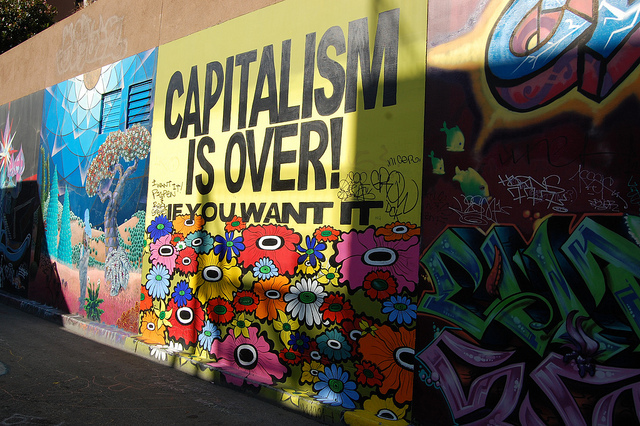 I created a mural on Clarion Alley in June 2011. I often use my pop flower imagery in my murals as a way to draw viewers into the deeper issues of social, economic, racial, and environmental justice that I'm addressing. 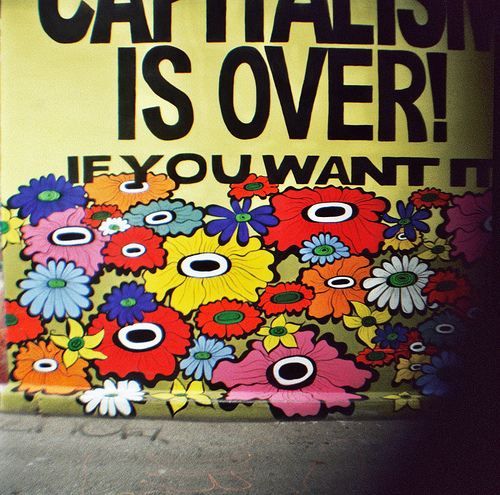 Capitalism Is Over! 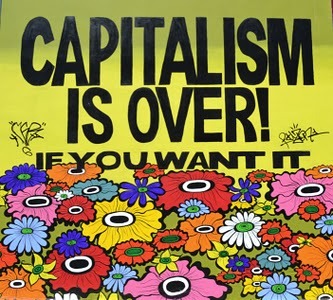 If You Want It is an ongoing movement of interruptions/actions by artists from around the world in response to the need for a fundamental shift in our approach to Capitalism and the negative impact it has on the environment, health, and wellbeing of all. The status quo is not sustainable. 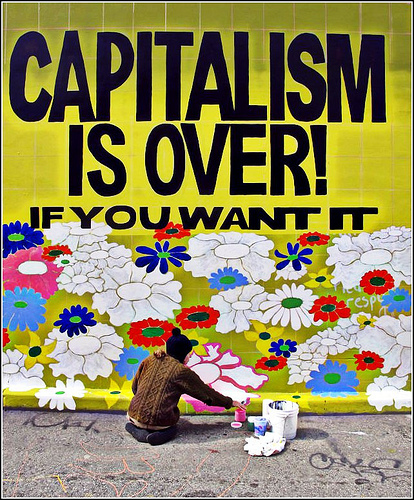 The title of the project references John and Yoko’s “War is Over if You Want It” campaign of the late ’60′s – in the spirit that capitalism is our war of today. The title also reflects how these phenomena are based in our minds and rely on our buy-in to function. 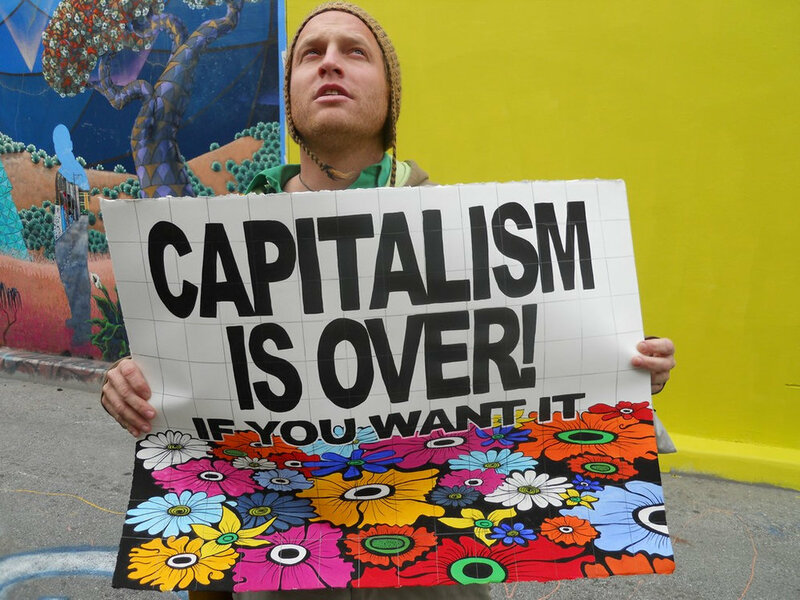 Capitalism is not a law of nature. Humans created the system, it no longer works for the majority of the world, and it can be replaced. 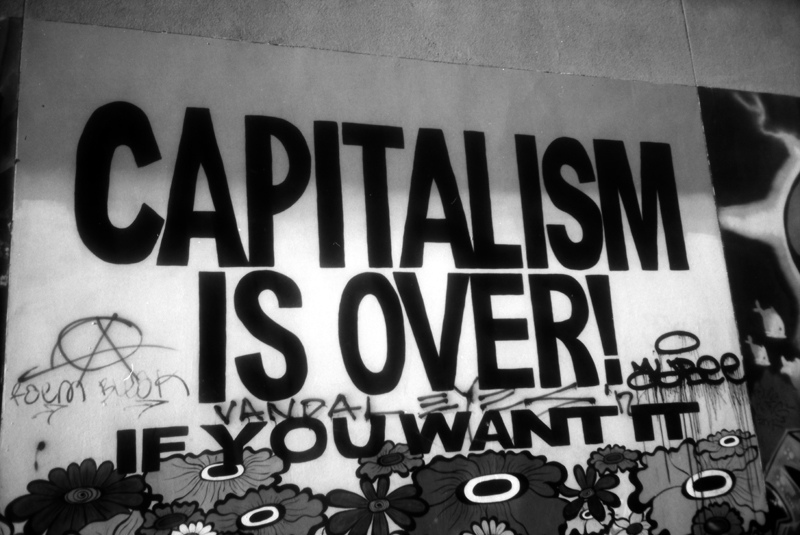 CAPITALISM IS OVER! 's messaging campaign uses the same multiple-site tactic that advertisers use - utilizing select sites with targeted visibility - however, here the effort is to raise consciousnesses around the timely and critical need to challenge our current social/economic model. The project's messaging goal is twofold: (1) to heighten awareness; and (2) to cultivate a dialog within communities and amongst disparate groups.